The dielectric and heat transfer characteristics of sulfur hexafluoride (SF6) has made it the insulator of choice for circuit breakers, disconnectors, and switchgear in the power transmission and distribution industry. For decades, the T&D sector has relied on SF6 to effectively quench arcs and to cool and protect its equipment. However, SF6 is a very powerful greenhouse gas, 23,900 times more potent than carbon dioxide (CO2) at trapping infrared radiation. SF6 is not toxic for humans, but it displaces oxygen and, therefore, can lead to asphyxia in enclosed areas, such as trenches and pits where personnel maintain, install, and remove SF6-insulated equipment. Due to the harmful effects of SF6 on the environment and on humans, SF6 emissions need to be controlled and minimized as much as possible. Safe, reliable equipment that provides good and easy control of emissions, filling, evacuation, and recovery of SF6 during handling, maintenance, and in service is therefore a must. The T&D industry, O&M providers, and utilities have searched for a solution to this problems for a long time. 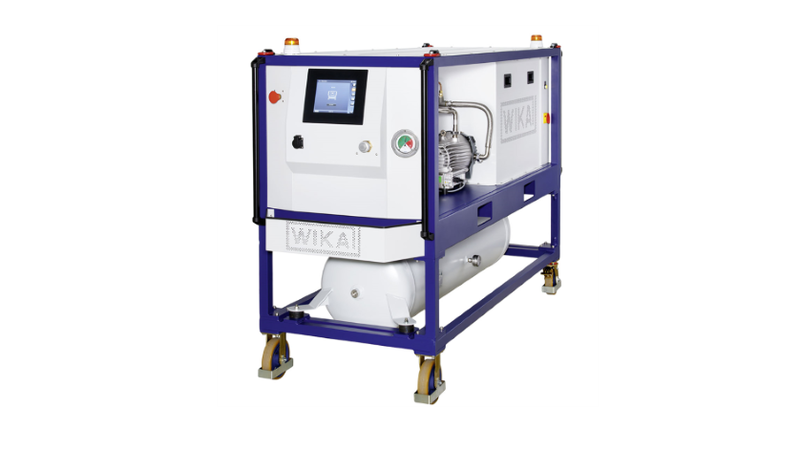 To fill the market need for controlling and minimizing SF6 emissions, WIKA developed a new generation of filling and handling equipment that helps protect the environment and ensures the safety of your personnel. WIKA is the only company that offers a comprehensive product portfolio and extensive application experience for the entire lifecycle of SF6. The GPU-2000, for example, is a state-of-the-art instrument for filling, cleaning, and venting SF6 gas-filled equipment. It combines a vacuum pump for air, an oil-free vacuum compressor for SF6, an oil-free compressor for SF6, filters, a humidity measuring system, and a storage tank. It is a compact and versatile portable unit. It comes with a touch screen for easy operation, and is low maintenance. The GPU-2000 is WiFi ready, and includes a USB connection for easy integration and communications with the rest of the network. The GPU-2000 has been designed to reduce risks by ensuring Safety Integrity Level (SIL) 2 as per the IEC 61508 standard for functional safety of electrical, electronic, and programmable safety-related systems. The standard has developed specific guidelines for risk assessment and design of safety functions. The design of the GPU-2000 follows the overall hardware and software safety lifecycle procedures of the standard. It includes fault avoidance and fault control features to minimize both systematic and random faults, and also maintains all associated documentation. The GPU-2000 has been specifically designed for handling SF6, and is among the fastest and most efficient, cost-effective service equipment of its class. It allows controlled handling of the entire process from initial filling to processing of SF6-insulated equipment. The use of SIL 2 components reduces the risks of incorrect use. Escape of gas and overfilling of the storage tank are virtually eliminated. The GPU-2000 helps minimize harmful emissions and protect the environment and your personnel. Reduce the risks of your operation. Call WIKA today to talk with its experts about how to implement safe and reliable solutions for your SF6 handling needs.